AQUAMAN. (DVD Artwork). ©Warner Bros. Entertainment. 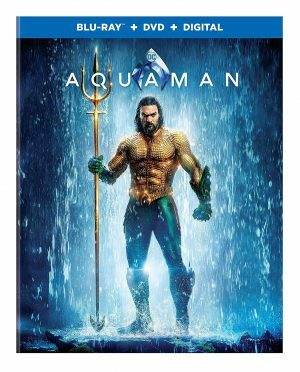 “Aquaman” surfaces Tuesday March 26 on 4K UHD Combo Pack, Blu-ray Combo Pack, DVD Special Edition and Digital, from Warner Bros. Home Entertainment and DC. Director James Wan (“Furious 7,” “Conjuring 2”) delivers an action-packed adventure that spans the vast, visually breathtaking underwater world of the seven seas, starring Jason Momoa (“Justice League,” “Frontier,” “Game of Thrones”) in the title role. The Atlantean child Orin, son to the Queen of Atlantis (Oscar winner Nicole Kidman, “The Hours”), was abandoned as an infant and left to die; however, he was rescued and raised by a kindly lighthouse keeper. The keeper (Temuera Morrison, “Star Wars: Episode II—Attack of the Clones,” “Green Lantern”) adopted the boy as his own son, renaming him Arthur Curry (Momoa). Able to survive the harshest depths of the ocean and on the surface world above, the child of two worlds grew to be a hero to both eventually returning to Atlantis to become their King in addition to being a founding member of the Justice League as Aquaman. “Aquaman” also stars Amber Heard (“Justice League,” “Magic Mike XXL”), Oscar nominee Willem Dafoe (“Platoon,” “Spider-Man 2”), Patrick Wilson (“The Conjuring” films, “Watchmen”), Dolph Lundgren (“The Expendables” films), Yahya Abdul-Mateen II (“The Get Down”) and Ludi Lin (“Power Rangers”). Wan directs from a screenplay by David Leslie Johnson-McGoldrick (“The Conjuring 2”) and Will Beall (“Gangster Squad,” “Training Day”). The story is by Geoff Johns, Wan and Beall, based on characters from DC’s “Aquaman” created by Paul Norris and Mort Weisinger. All versions of “Aquaman” will include a three-minute sneak preview of “Shazam,” the upcoming live action feature film starring Zachary Levi as the DC superhero. The 4K Ultra HD Blu-ray disc of “Aquaman” features Dolby Vision HDR. The 4K Ultra HD Blu-ray disc of “Aquaman” also features a Dolby Atmos soundtrack remixed specifically for the home theater environment to place and move audio anywhere in the room. “Aquaman” also can be viewed on Movies Anywhere. Using the free Movies Anywhere app and website, viewers can access all their eligible movies by connecting their Movies Anywhere account with participating digital retailer accounts. The film also is available now via digital retailers. Jennifer Lopez (“Maid in Manhattan,” “Shades of Blue”) returns to the big screen with the premise that it’s never too late to pursue your dreams in the hilarious romantic comedy “Second Act,” arriving on Blu-ray Combo Pack, DVD and On Demand Tuesday March 26, from STXfilms and Universal Pictures Home Entertainment. From the director of “50 First Dates” and “Get Smart,” “Second Act” is a heartfelt and empowering comedy that will inspire audiences of all ages to reach for their dreams. It also features Lopez’s latest single “Limitless” and boasts a supporting cast including Leah Remini (“The King of Queens,” “Kevin Can Wait”), Vanessa Hudgens (“The Princess Switch,” “High School Musical” franchise) and Milo Ventimiglia (“This is Us,” “Gilmore Girls”). The Blu-ray, DVD and Digital are packed with special bonus content including funny and insightful commentary from the cast and filmmakers as well as entertaining featurettes that will take viewers behind the scenes of this thoughtful romantic comedy. 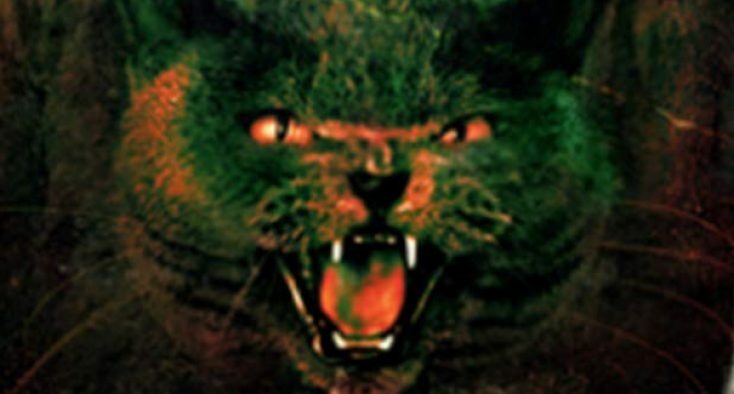 Written for the screen by internationally renowned author Stephen King and based on his iconic bestseller, director Mary Lambert’s thrilling “Pet Sematary” electrified audiences upon its release in 1989, earning more than $57 million to become the highest grossing horror film at that time. The horror movie follows the tragic story of the Creed family. After their cat is accidentally killed, a friendly neighbor advises its burial in a mysterious nearby cemetery. When the cat comes back, it’s only the beginning of an unthinkable evil leading to hell and back. Sometimes, so it seems, dead is better. Thirty years later, the terrifying depiction of unspeakable evil returns in a newly restored anniversary edition on 4K Ultra HD Combo Pack and Blu-ray Tuesday March 26, from Paramount Home Media Distribution. Newly remastered in 4K under the supervision of Lambert, the “Pet Sematary” 4K Ultra HD and Blu-ray releases also boast brand new bonus content, including the cast and crew of Paramount’s upcoming all-new “Pet Sematary” adaptation discussing the original film’s impact and the lasting legacy of its story; a new interview with Lambert about her memories making the film, the restoration, and King’s enduring influence; plus, new photo galleries with behind-the-scenes images, original storyboards and vintage ads. Both discs feature access to a Digital copy of the film and previously released bonus material, including commentary by Lambert, a guided tour of the locations led by the story’s author along with an exploration of the origins of the novel, an introduction to the cast and characters and a behind-the-scenes look at the making of the film.